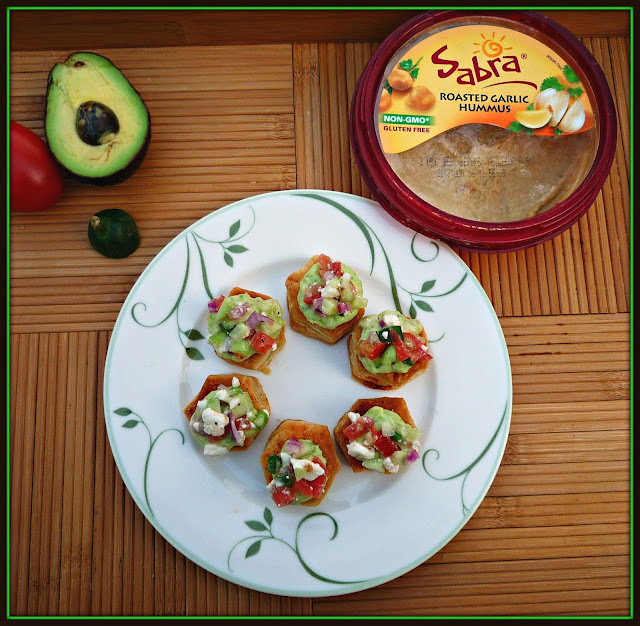 National Hummus Day is May 13th, and I'm partnering with my friends at Sabra to share a fun little afternoon snack to celebrate! 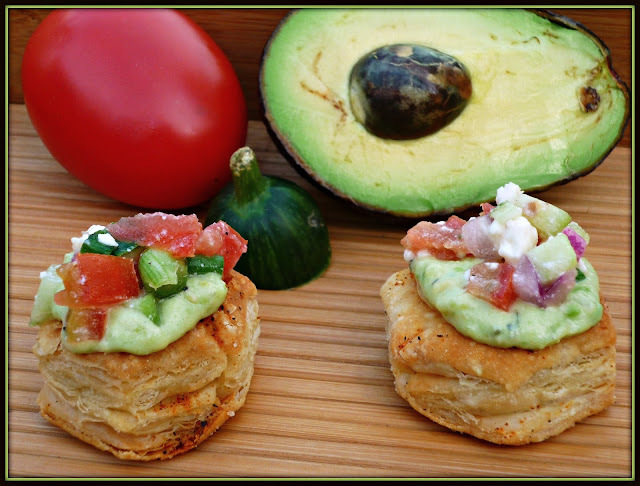 I My Hummus Puff Pastry Bites with Avocado Ranch and Greek Salsa are light and healthy -- but they're also hearty enough to enjoy as an #UnofficialMeal. 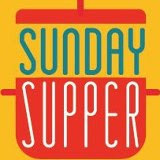 Unofficial Meals are meant to tide you over during the time between when you arrive home after work and dinnertime. This hearty puff pastry bite is perfect for sharing with friends or family while you're prepping dinner in your kitchen. 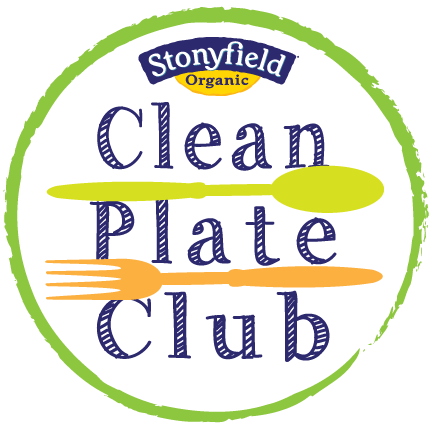 Unlike a traditional meal, the Unofficial Meal is meant to be relaxed and casual...there are no hard and fast rules. The key word here is FUN! 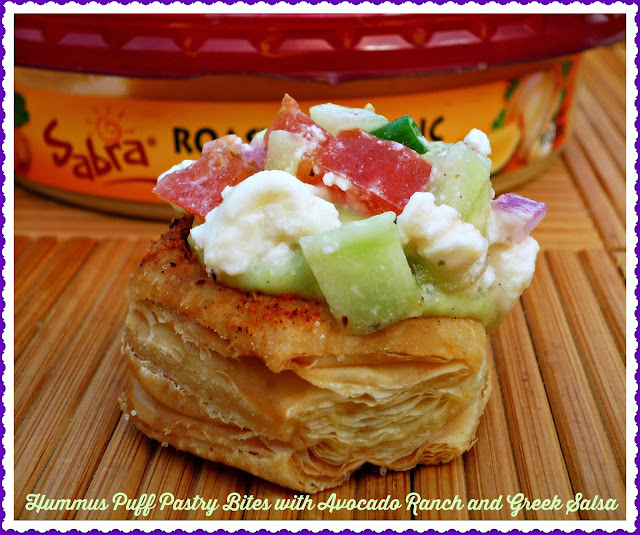 Mini puff pastry cups are filled with three layers of goodness: delicious Sabra Roasted Garlic Hummus, avocado ranch, and a feta-infused Greek salsa. To save time in the afternoon, do what I do and prep the ingredients the night before. That way, assembly is a snap when you get get home in the afternoon and you're looking for something to eat! Step 1: Bake the puff pastry cups according to package directions, sprinkling them with the seasoned salt before baking. While they pufff pastry cups are baking, make the Greek salsa. 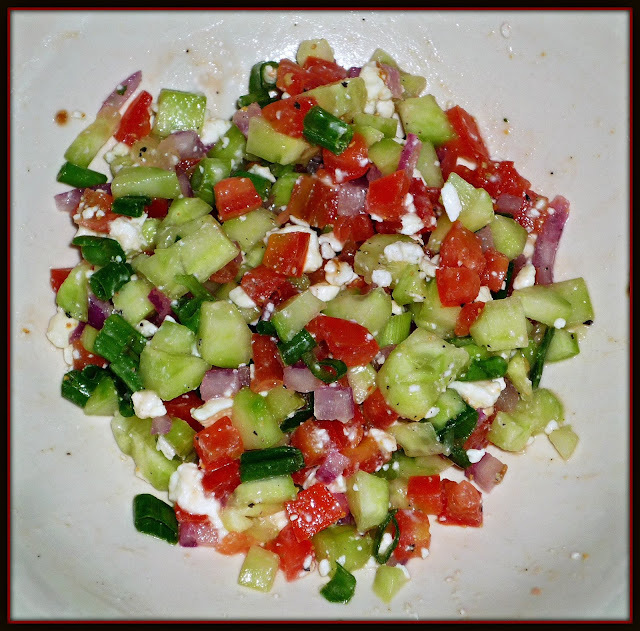 Add the tomato, green onion, purple onion, cucumber, feta, lemon juice, and salt & pepper to a small bowl. Stir just until combined. Store in the fridge until just before you're ready to assemble the puff pastry bites. 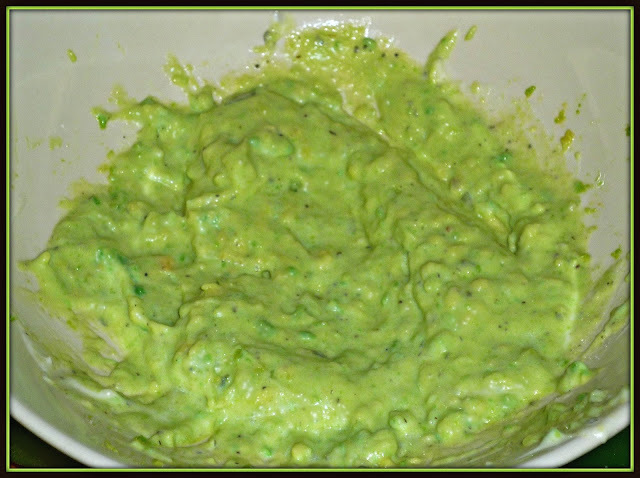 Step 2: Make the avocado-ranch sauce. Peel and seed the avocado and add to a small bowl. Mash the avocado to a smooth paste with a fork. Add the ranch dressing and stir until evenly combined into a thick sauce. Spoon into a plastic zip-top bag and remove excess air. Use scissors to snip one corner of the bag. Step 3: Remove the centers from the baked puff pastry cups and discard. 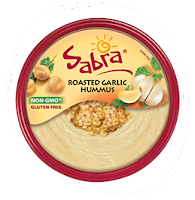 Spoon the Sabra Roasted Garlic Hummus into a plastic zip-top bag and remove air. Use scissors to snip the end off one corner of the bag. 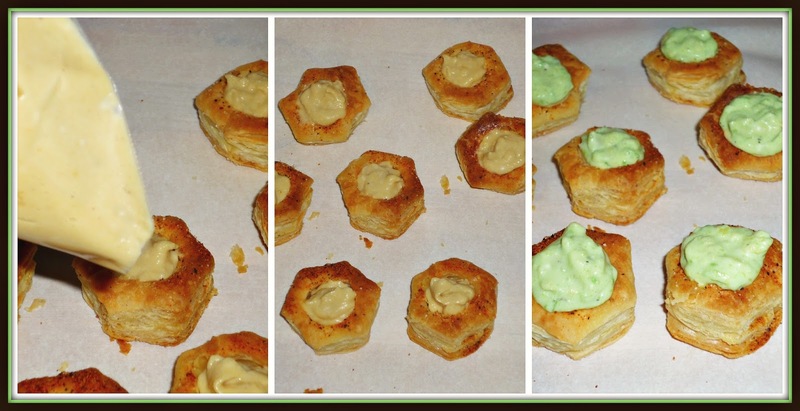 Squeeze some of the hummus into the puff pastry cups. Then, squeeze some of the avocado-ranch sauce on top of the hummus. Step 4: Carefully spoon a bit of the reserved Greek salsa on top of the avocado-ranch sauce on each puff pastry bite. Carefully transfer the finished puff pastry cups to a serving platter and dig in! Y'all! These puff pastry bites make a perfect after-work or after-school Unofficial Meal! The crispy puff pastry, creamy garlic-infused Sabra hummus, creamy avocado-ranch sauce, and feta-centered Greek salsa work in perfect harmony. It's a fabulous combination of flavors and textures -- and it definitely will keep afternoon hunger at bay while you're getting dinner sorted out. I made the puff pastry bites the night before, cooled them, and stored them in an airtight container. The Greek salsa takes minutes to whip up, and assembly is a snap too. These Hummus Puff Pastry Bites with Avocado Ranch and Greek Salsa are a fabulous way for you to celebrate National Hummus Day this weekend. 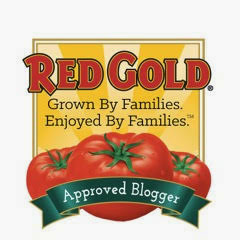 They're also an awesome, yummy veg-friendly appetizer to have on hand for your upcoming Summer entertaining. 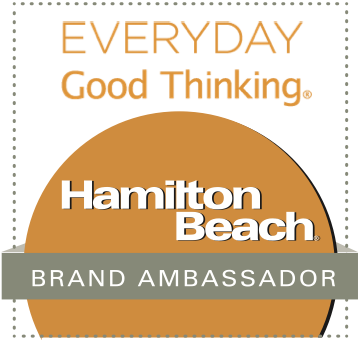 I hope you'll give them a try and let me know what you think! Disclosure: This is a compensated post for Sabra. Sabra also provided me a variety of their hummus products to facilitate recipe development for this article. All opinions provided are my own.